UPDATED: Mon., Jan. 8, 2018, 8:29 p.m.
LAS VEGAS – A judge in Las Vegas on Monday dismissed criminal charges against a Nevada rancher and his sons accused of leading an armed uprising against federal authorities in 2014. 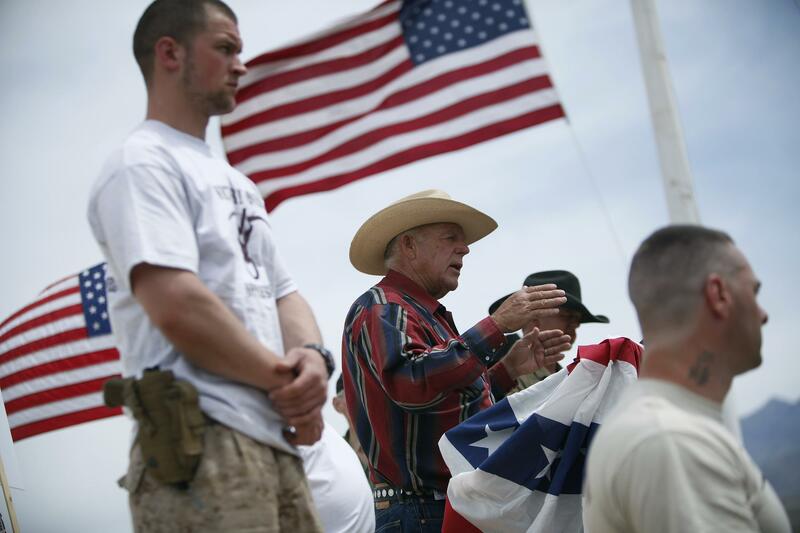 Chief U.S. District Judge Gloria Navarro signaled when she declared a mistrial last month that she might dismiss the case outright against 71-year-old Cliven Bundy, sons Ryan and Ammon Bundy, and Montana militia leader Ryan Payne. The judge severely criticized prosecutors for willfully violating the due process rights of the defendants, including failing to properly turn over evidence to their lawyer. But she gave the government a chance to submit written documents opposing dismissal of all charges. The decision is sure to reverberate among states’ rights advocates in the Western U.S., where the federal government controls vast land that some people want to protect and others want to use for grazing, mining and oil and gas drilling. The tense armed standoff outside Bunkerville, about 80 miles northeast of Las Vegas, stopped a federal Bureau of Land Management roundup of Bundy cattle from public land including what is now Gold Butte National Monument. About three dozen heavily armed federal agents guarding corrals in a dry riverbed faced hundreds of flag-waving men, women and children calling for the release of some 400 cows. The cattle had been rounded up under court orders issued over Bundy letting his herd graze for 20 years without paying government fees. No shots were fired before the outnumbered and outgunned federal agents withdrew. Several gunmen among the protesters who had assault-style rifles were acquitted of criminal charges in two trials last year. Ryan and Ammon Bundy also were acquitted of federal criminal charges in Oregon after leading an armed occupation of a national wildlife refuge in early 2016 to demand the government turn over public land to local control. Payne awaits sentencing in that case but is trying to withdraw his guilty plea to a felony conspiracy charge, which is expected to bring a sentence of more than three years in prison. In Las Vegas, the judge declared a mistrial Dec. 20, leaving Cliven Bundy as the only defendant still jailed after refusing an offer to be released to house arrest. Published: Jan. 8, 2018, 9 a.m. Updated: Jan. 8, 2018, 8:29 p.m.